The housing market peaked in 2005 and proceeded to crash over the next five years, with existing home sales falling 50%, new home sales falling 75%, and national home prices falling 30%. A funny thing happened after the peak. Wall Street banks accelerated the issuance of subprime mortgages to hyper-speed. The executives of these banks knew housing had peaked, but insatiable greed consumed them as they purposely doled out billions in no-doc liar loans as a necessary ingredient in their CDOs of mass destruction. The millions in upfront fees, along with their lack of conscience in bribing Moody’s and S&P to get AAA ratings on toxic waste, while selling the derivatives to clients and shorting them at the same time, in order to enrich executives with multi-million dollar compensation packages, overrode any thoughts of risk management, consequences, or the impact on homeowners, investors, or taxpayers. The housing boom began as a natural reaction to the Federal Reserve suppressing interest rates to, at the time, ridiculously low levels from 2001 through 2004 (child’s play compared to the last six years). Greenspan created the atmosphere for the greatest mal-investment in world history. As he raised rates from 2004 through 2006, the titans of finance on Wall Street should have scaled back their risk taking and prepared for the inevitable bursting of the bubble. Instead, they were blinded by unadulterated greed, as the legitimate home buyer pool dried up, and they purposely peddled “exotic” mortgages to dupes who weren’t capable of making the first payment. This is what happens at the end of Fed induced bubbles. Irrationality, insanity, recklessness, delusion, and willful disregard for reason, common sense, historical data and truth lead to tremendous pain, suffering, and financial losses. Once the Wall Street machine runs out of people with the financial means to purchase a home or buy a new vehicle, they turn their sights on peddling their debt products to financially illiterate dupes. There is a good reason people with credit scores below 620 are classified as sub-prime. Scores this low result from missing multiple payments on credit cards and loans, having multiple collection items or judgments and potentially having a very recent bankruptcy or foreclosure. They have low paying jobs or no job at all. They do not have the financial means to repay a large loan. Giving them a loan to purchase a $250,000 home or a $30,000 automobile will not improve their lives. They are being set up for a fall by the crooked bankers making these loans. Heads they win, tails the dupe gets kicked out of that nice house onto the street and has those nice wheels repossessed in the middle of the night. The subprime debacle that blew up the world in 2008 was created by the Federal Reserve, working on behalf of their Wall Street owners. 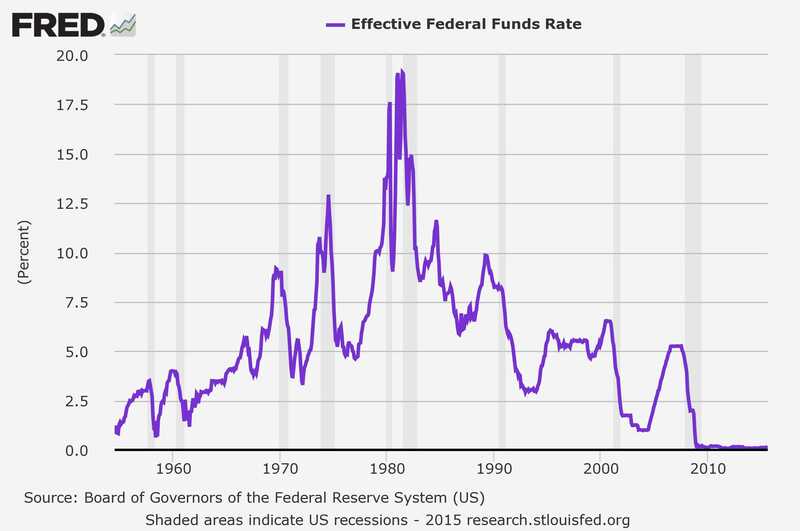 When interest rates are set by central planners well below levels which would be set by the free market, based on risk and return, it creates bubbles, mal-investment, and ultimately financial system disaster. Did the Fed, Wall Street, politicians, and people learn their lesson? No. Because we bailed them out with our tax dollars and have silently stood by while they have issued $10 trillion of additional debt to solve a debt problem. The deformation of our financial system accelerates by the day. The $3.5 trillion of QE, six years of 0% interest rates for Wall Street (why are credit card interest rates still 13%? ), and $8 trillion of deficit spending by the Federal government have provided the outward appearance of economic recovery, as the standard of living for most Americans has declined significantly. With real median household income still 6.5% BELOW 2007 levels, 7.3% BELOW 2000 levels, and about equal to 1989 levels, the only way the ruling class could manufacture a fake recovery is by ramping up the printing presses and reigniting a housing bubble and an auto bubble. They even threw in a student loan bubble for good measure.